Regulated gas prices will drop by almost 2% from January 1. The national energy grant will rise by €50, and will help 5.8 million households pay their bills or make crucial upgrades to their home’s heating system. 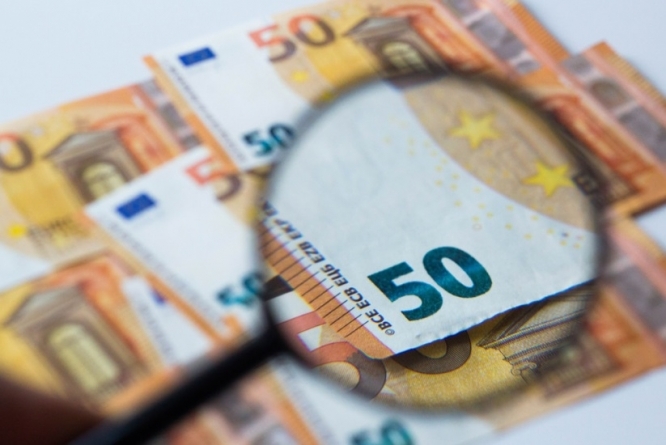 Retired people will see their social deductions (contribution sociale généralisée, CSG) reduced from 8.3% to 6.6% from January 1, while minimum pensions rise by €35 a month for a single person, and €54 per month for a couple. Basic pensions will be revalued to 0.3% less than inflation, and this will also apply to independent workers, public contractors, and disability or illness pensions. Social contributions on private pensions will rise slightly, with private sector workers being encouraged to work for longer: until at least age 63. New drivers who undergo additional training after obtaining their driving licence can now access their maximum allowance of 12 points on their licence in two years instead of three; for licences with accompanied driving, the maximum points allowance waiting period will be reduced from two years to one-and-a-half years. Furthermore, to combat uninsured driving, police and gendarmes can now access the Insured Vehicle Register (IVR), which lists all insured vehicles. By consulting this directory, they can find out if the vehicle they are checking is properly insured. There will be a cap on the out-of-pocket cost (after reimbursements) to buyers of hearing aids, at €1,300 per device if you buy one in a range offered under the new 100% santé scheme. Also the ordinary state tariff for hearing aids on which reimbursements are provided (at 60%) will rise from €199.71 to €300. The price of a packet of average cigarettes - 20 Marlboro Red - will rise from €8 to €8.20. Phytopharmaceutical products, such as synthetic pesticides and herbicides is banned for individual private use from January 1. The list of banned products includes controversial herbicide glyphosate - notably an active ingredient in the popular Roundup brand, as well as some mole repellents, weed killers, Norway pine tar or slug pellets. This will apply to stocking, buying, and using the products. Anyone with remaining banned substances will be able to recuperate their losses through special recycling plants. Now, only biocontrol products, low-risk products and products authorised for use in organic farming can now be used in gardens. Promotions at the supermarkets will be limited to 34% of the consumer sales price. This means that “buy one, get one free” sales will now be effectively banned, and will be replaced by “buy two, get one free”. The idea is to balance market forces between producers and distributors (such as supermarkets), and to stop prices becoming so low that farmers and producers receive nothing. The red stamp for priority mail now costs €1.05, compared to €0.95 previously. The cost of green stamps, meanwhile, rises from €0.80 to €0.88. The minimum wage ("Smic") is set to rise by 1.5% per hour, taking it from €9.88 to €10.03 gross. The monthly Smic will rise from €1.498 to €1.521, for 35 hours per week. This amounts to a net rise of €16 to €1,204 per month. Overtime pay will not be taxed or see any deductions, up to €5,000 per year. All workers - including in the public sector - will benefit. The prime d'activité grant will rise by €90, and will now apply to 5 million households in lieu of the previous 3.8 million. Benefits agency the CAF will pay this from February 5, including to new recipients - if they apply before January 25. Taxing at source will apply to 38 million French households, after the specific amounts were revealed last April and May. For workers, taxes will be deducted by the employer directly, and will appear on payslips next to the normal social contributions. For retirees, taxes will be taken by their pension society. Independent workers will make a monthly or trimonthly contribution, based on their income. Anyone who becomes self-employed in 2019 (except farmers) will be registered with Caisse primaire d'assurance maladie (CPAM) for social security purposes. The switch from the unpopular RSI will take place in 2020 for those who are already self-employed. The allowance for extra training will now be calculated in euros, rather than hours. This will be limited to €500 per year per person (€800 for underskilled workers or disabled people), to an overall limit of €5,000 (or €8,000). Apprenticeships will also be reformed; the maximum age will rise from 26 to 29, and small businesses with fewer than 250 employees will have access to extra help for apprentice training.